I&apos;m now in my very last few days of pregnancy. I am booked in to be induced on Monday so very soon I should have a little baby! Yesterday I saw my consultant for the final time and had a sweep, which was uncomfortable but not too bad. Unfortunately, although I did go to bed last night wondering if maybe contractions would start or my waters break by morning, it&apos;s now 24 hours after the sweep and there have been no signs of labour whatsoever so I&apos;m resigned to being induced (which I fully expected all along to be fair). I am feeling so excited to finally meet baby Twinkle, though a bit nervous at the same time and I&apos;m obviously just hoping that everything goes smoothly (and also praying for a super quick labour!!) I would absolutely love to go into labour naturally as I have only managed it once (with Jess, my eldest) but I have been pretty sure all along that it wouldn&apos;t happen and my induced births have all been good experiences so I&apos;m not too concerned. For me the worst thing about being induced is that it can involve quite a bit of waiting around before things get started, (especially if labour ward is busy) and it means spending the early stages of labour at hospital rather than at home. I am now really looking forward to not being pregnant anymore. With two little girls to run around after it is hard work with my huge bump (I am now carrying an extra 3st 11lb!! ), sleeping is difficult (not that I&apos;m expecting to get a great night&apos;s sleep with a newborn but I can&apos;t get comfortable, I&apos;m in pain every time I shift position and I&apos;m up a few times every night for a wee!) my swollen feet and ankles just feel horrible and I&apos;m just bloody knackered all the time! Having said all that, I know exactly how lucky I am to be having my seventh baby and (although it doesn&apos;t sound like it from all my moaning) I honestly do count my blessings and wouldn&apos;t change a thing, it is all worth it after all! Everything is ready for our new arrival, Tinker is very excited and so is Totsy who does seems to have a better understanding that a baby is coming (though sometimes says there is a baby dinosaur in mummy&apos;s tummy!) but I still think the reality might be a bit of a shock. Both of them will be fine I&apos;m sure and we will be very aware of reassuring and involving them once baby is here, I think kids of all ages need a little extra understanding and lots of extra cuddles when a new baby arrives. It is strange to think this is my last few days of ever being pregnant, after six pregnancies I have now been pregnant for a total of 54 months! And although no one totally believes me this really is the last one. Seriously. No. More. Babies. Ever. 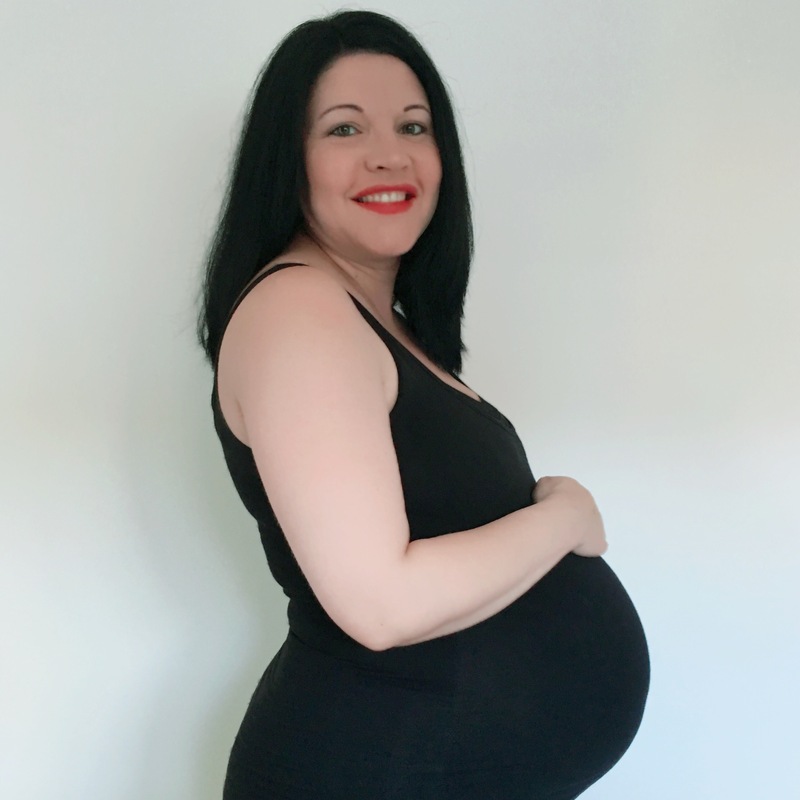 Don&apos;t forget to catch up with last week&apos;s 38 weeks pregnant update if you missed it and make sure you watch this space (and follow my social media) for news of baby Twinkle&apos;s arrival! Tags: 39 weeks pregnant, baby number seven, baby Twinkle, pregnant at 42. Bookmark the permalink.